Norway is one of my favorite countries in the world. Its natural beauty is incomparable to any other place on Earth: the famous Pulpit Rock is an astounding example - not to miss while visiting Norway. 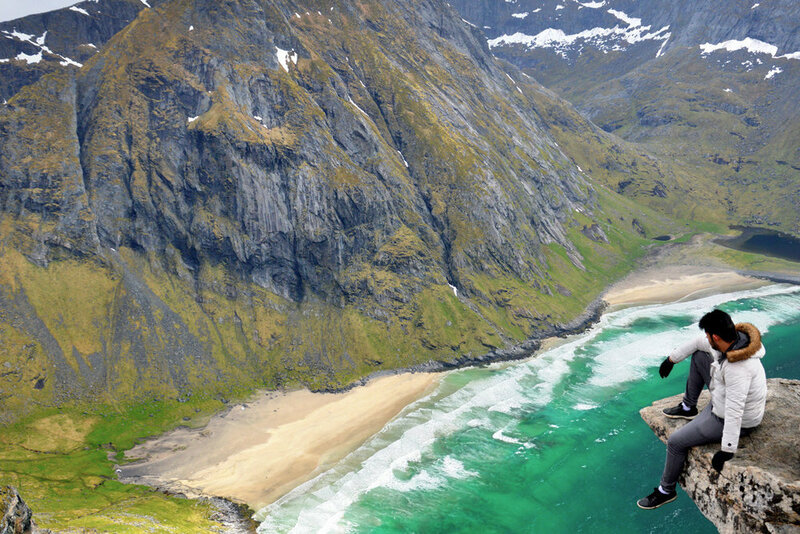 But the real experience starts in the Polar Circle - the Lofoten Islands. I must admit, it is the most beautiful spot on our planet we've been to. It seems so unreal that it's actually hard to believe your eyes. Little villages, cozy cottages situated besides snowy peaks of the mountains that seem like the Alps sticking out straight from the sea; the midnight sun in the summer, the fjords, cliffs and... paradise white sand beaches with crystal clear turquoise waters that can easily compete with those in the tropics. All this mixed up all over the place. Looks like a fantasy world of video games. In this part I will describe the three northernmost islands that we visited in Lofoten - Vestvagoy, Gimsoya and Austvagoya. Because of the Haukland beach (one of the most beautiful beaches we've ever seen), this is probably my favorite part of the Lofoten archipelago. Haukland, because of its appearance, could be easily located in the tropics - with white, soft sand and turquoise waters. However, I must admit, that it's nearly impossible to have a favorite place in Lofoten as virtually all the spots are equally incredible - there are no words that can describe the natural beauty of this place (as I mentioned so many times in the previous posts - Lofoten South and Vaeory island). Lofoten archipelago is a truly spacial place. It's located above the Arctic Circle and during the summer, the sun never sets (in winter, it never rises which is perfect for admiring Aurora Borealis). From mid May till August, you can walk around at 2 am and feel as if it was late afternoon. Lofoten is extraordinary not only because of the unusual sunrise/sunset times. I must admit it is the most beautiful place on our planet I have ever seen. Surrounded by the vast Norwegian Sea connected to the Atlantic Ocean, the archipelago is warmed up by its waters and the climate is surprisingly mild, even in winter. The islands emerge suddenly right out of the sea and their pointy peaks resemble the highest parts of the Alps. Surprisingly, apart from the spectacular mountains, Lofoten has... tropical looking beaches that you'd never think could exist so far north. Perfect, white sand and turquoise, clear waters seem to bea carbon copy of the Caribbeans. All this unusual mixture of landscapes otherwise not seen side by side creates an unique fantasy scenery that you'd expect to see in a video game rather than in reality. The island of Vaeroy - a part of Lofoten Islands - was our first stop in this indescribable archipelago. 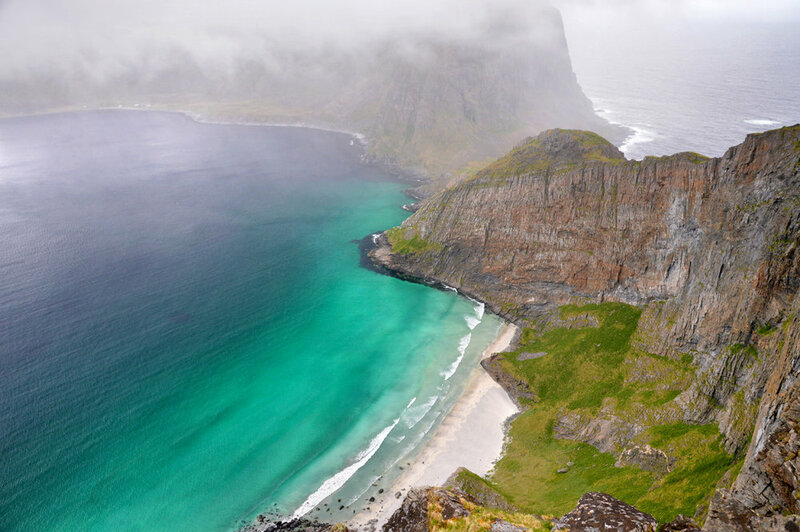 Because of the warm waters of the Gulf Stream, although located within the Arctic Circle, Lofoten's climate is pretty mild. And Vaeroy, detached from the other, tightly squeezed islands and completely surrounded by the sea, is even warmer - snow rarely stays on the ground for long. It's unbelievable how beautiful and diverse the island is considering its tiny size. It has everything - a cozy town, the mountains, cliffs and paradise beaches - it's a tiny, concentrated mini version of the entire Lofoten archipelago - a perfect starter before exploring the rest of Lofoten. The Frogner Park in Oslo is a perfect place for those who seek for shelter from a busy, modern city. But it wouldn't be world famous if it were just an ordinary park with trees, alleys and lawns. Within its boundaries, the Frogner Park holds the controversial sculpture installation by Gustav Vigeland which boasts over 200 statues and is the largest in the world such installation created by a single artist. Easy to reach, the strange Vigeland's sculptures should be seen by everyone who is visiting the diverse Norwegian capital, so don't miss it! The pulpit rock (Preikestolen) is one of the most popular attraction of Norway. A huge, flat cliff overlooking a breathtaking scenery of the Lysefjord attracts many visitors looking for an adventure in this Scandinavian country. To get there, before a long hike up to the cliff, you need to reach the nearby town of Stavanger. Besides the famous cliff, the town itself is really worth exploring, its charming, wooden architecture is different from that of modern Oslo. It's Norway at its best. It's very clean and neat, surrounded by fjords, full of parks and cozy little streets. 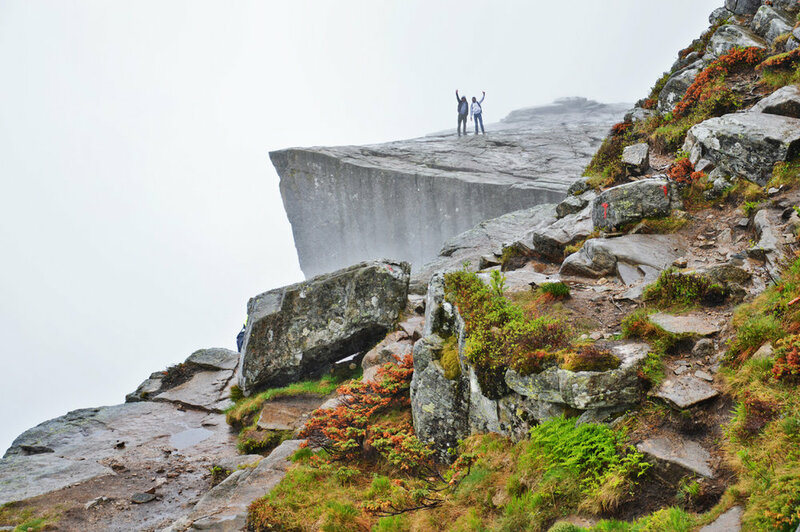 After (or before) climbing the pulpit rock, give yourself one or two days of free time to visit Stavanger. 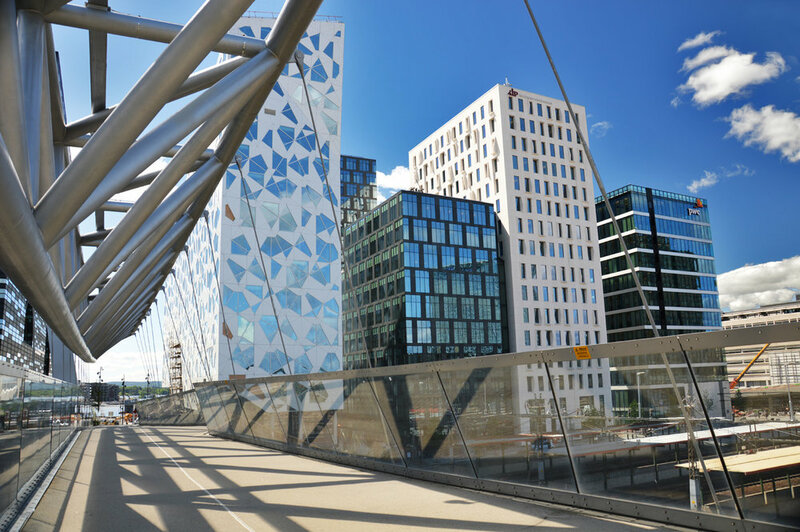 Oslo, the capital of Norway is a beautiful and surprising city. Surrounded by water, the old town contrasts with the super-modern center with very original architecture. Oslo is a very pleasant place to visit, especially in the summer time. It's also the gateway to other attractions in Norway which is becoming more and more popular among tourists from around the world (for example Fjords and the famous Pulpit Rock). But anyway, if you are in Oslo, you will be surprised how diverse and beautiful the Norway's capital is and how many things you can actually visit. I was amazed ans astounded while walking down the streets of the city. I came to Norway mainly for the Pulpit Rock and, although I didn't intend to spend a lot of time in Oslo, it turned out to be a nice surprise (so were other towns in Norway and the countryside). While driving through the country, everything seemed so beautifully planned and arranged. All the houses, gardens, little streets and squares with fountains. No wonder it's one of the richest (and, unfortunately most expensive) countries in the world. The Pulpit Rock (Preikestolen in the Norwegian language) is a massive cliff that reminds of a huge stone block with an almost flat, rectangular, table like surface on the top. It rises 604 meters (1982 ft.) above the sea level and provides unbelievably spectacular views overlooking the Lysefjord (of course, granted that the weather is good). The Pulpit Rock is located in Ryfylke, Rogaland region of Norway, around 25 kilometers (15 miles) from the town of Stavanger hich is the starting point for most of the trips to the cliff. The best time for hiking Preikestolen is during the summer season from April until October when the weather is relatively warm.